I’m becoming obsessed with nut milks. 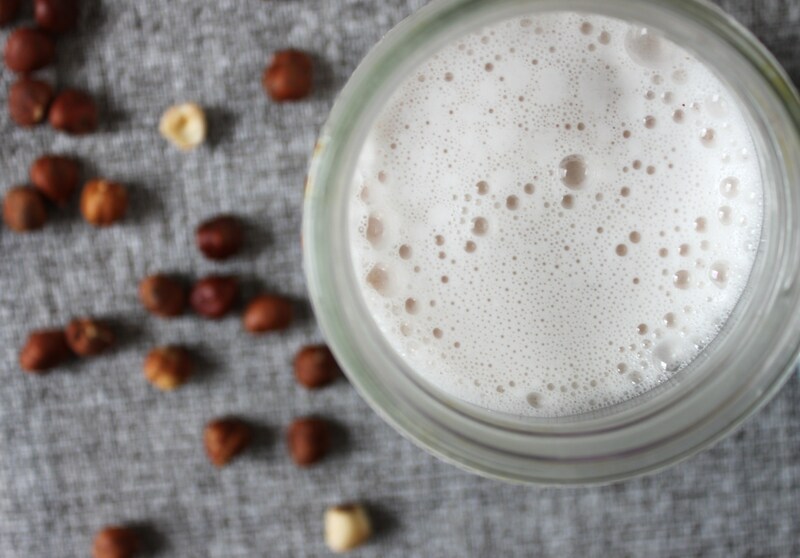 So basically you can make nut milk out of any nut and this time I chose hazelnut. You can use nut milks in place of regular milk ….anything from cereal, coffee/tea, smoothies, warm or cold. For those who avoid dairy or just want to try a new milk other than cows milk, nut milks are a great source of vitamins and minerals. Cashews are rich in magnesium, potassium, iron and zinc and also have some B vitamins and vitamin A. They also have Phytonutrients which are linked to prevention of disease and improved health. 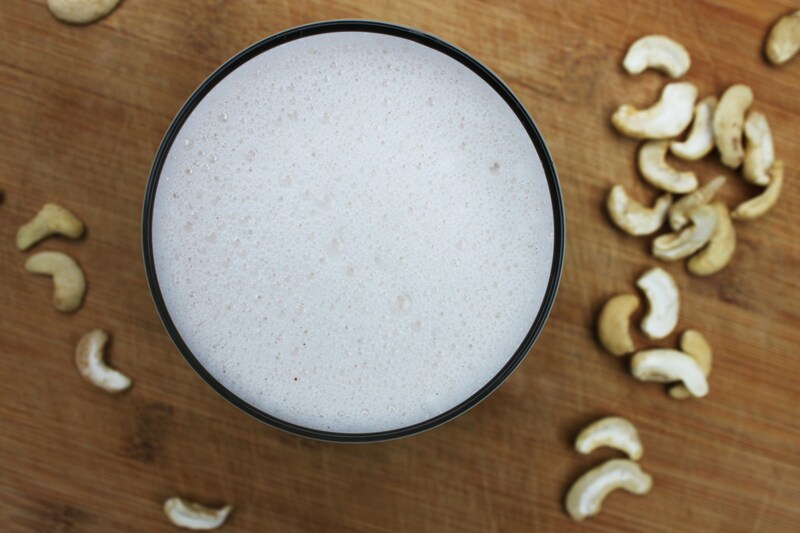 This cashew milk is super easy to make with a blender and turns out nice and light and frothy! If you are not using it right away, store your milk in a mason jar in the fridge and use within a day. Drink it by itself cold, or warm or add to smoothies!